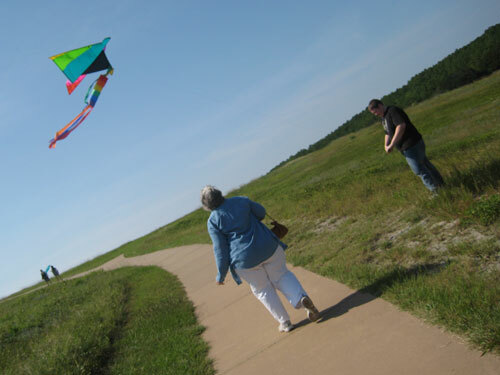 I couldn’t help but hum Let’s Go Fly a Kite as my brother was running around Kill Devil Hills trying to launch my mother’s rainbow flying machine, complete with streamers. This new theme song was somewhat welcome on our North Carolina vacation last week, because after we’d eaten sandwiches at a place called The Yellow Submarine I’d had that Beatles song stuck in my head. The wind wasn’t that strong, but we were able to make the kite fly for several minutes at a time. Then we hiked up the rest of the BFH (Big F**king Hill), which I thought they were going to have to rename “Kill PastaQueen Hills,” to see the Wright Brothers memorial. 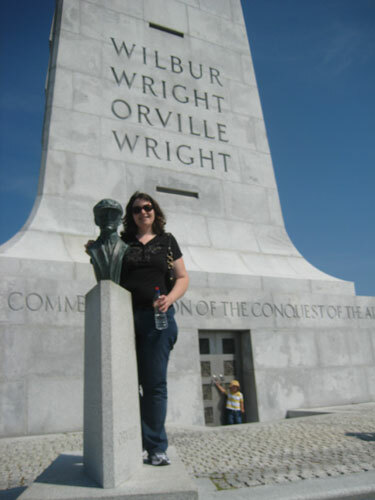 That’s me, hanging out with Orville, while some kid tries to break into the monument in the background. Kill Devil Hills is right next to Kittyhawk where the Wright Brothers discovered motorized flight. Did you know they owned a bike shop? I wonder if they could adjust my brakes for me. After we got back to Durham, we went to a baseball game featuring the Durham Bulls. 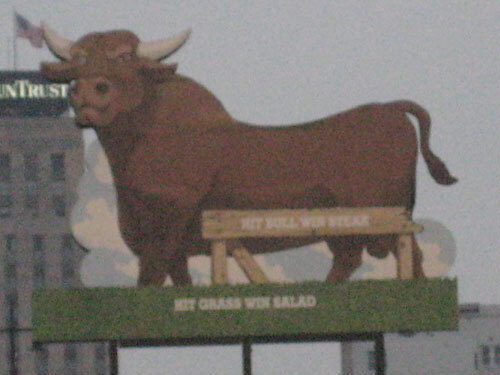 There was a billboard with a bull in left field, which was cute enough on its own, but when someone scored a home run its eyes lit up as an angry red, smoke came out of its nose, and its tail wagged. It was way more awesome than the baseball game! You should watch the movie Bull Durham. Its a movie about the baseball team. They show the cow light up a couple times :) Sounds like you are having a great vacation!! If you get back to KDH, you must eat at a place called Tortuga’s Lie. I am so jealous that you were in Durham. My daughter went to Duke and we spent 4 years driving her back and forth. I fell in love with that area and a restaurant called Bullock’s BBQ. What I wouldn’t give for a few of their hushpuppies and a plate of their Carolina Pulled Pork. YUM. My hubby is in a wheelchair so if anyone has any info on accessible sites, that would be great too! Now I have to watch Bull Durham, just to see the bull. The Wright Bros Bike Shop still existed in Dayton, OH when I was in elementary school…no idea if it does now…but we took a tour when I was in 2nd grade. Very cool going to the memorial. My dad has a picture that his dad took, of the Wright Brothers “flying machine” when they were testing it at the College Park, MD airport. I hope to get to the memorial some day. Ah, kites. I wonder where you can even buy them these days? My kids were flying kites at the beach this summer…..except the beach was next to the road. They ALMOST crashed a kite into traffic but luckily did not. Kite flying now gives me panic attacks. Climbing up to that monument is a workout! We do it every time we go. But climbing up Jockey’s Ridge from the other side? If you cross the street from Kitty Hawk Kites? Torture! I sure do love it there, though. We haven’t been in a few years. It is nice living vicariously through you. oh, I’m so jealous of your trip! 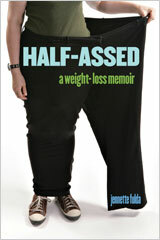 I love KDH! I clicked on the Let’s Go Fly a Kite link, and was happily entranced for a few minutes, watching the end of Mary Poppins. When I was in junior high school we sang all the songs from that movie, and I fell in love with all of them. Thanks for the nice reminder!